Children's Kilts are pleated and come with two adjustable leather straps. 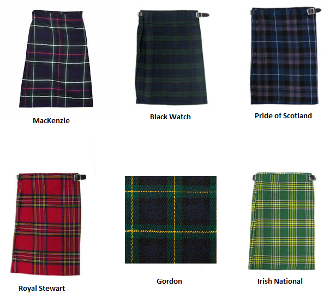 Kilts are 100% acrylic and are machine washable! Simply cold water wash on delicate cycle and hang dry! Measure for waist at naval. Other tartans are available, please contact us for availability and price!